A cross cutting saw serves as a machine to cross cut wood; both hard and soft wood. 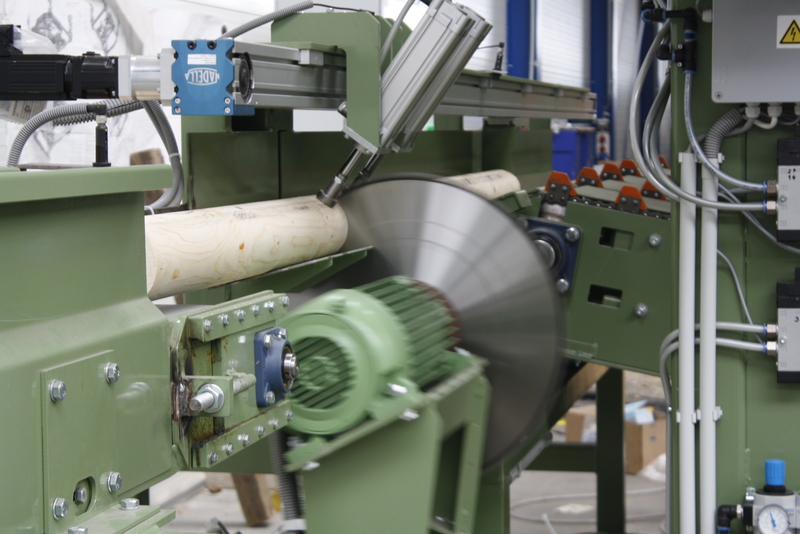 The machines Bezner-Oswald designs and manufactures handle both round and square logs with diameters or side-lengths from 60 up to 200 mm. Depending on your requirements and model, the output can run up to 300 units each hour. 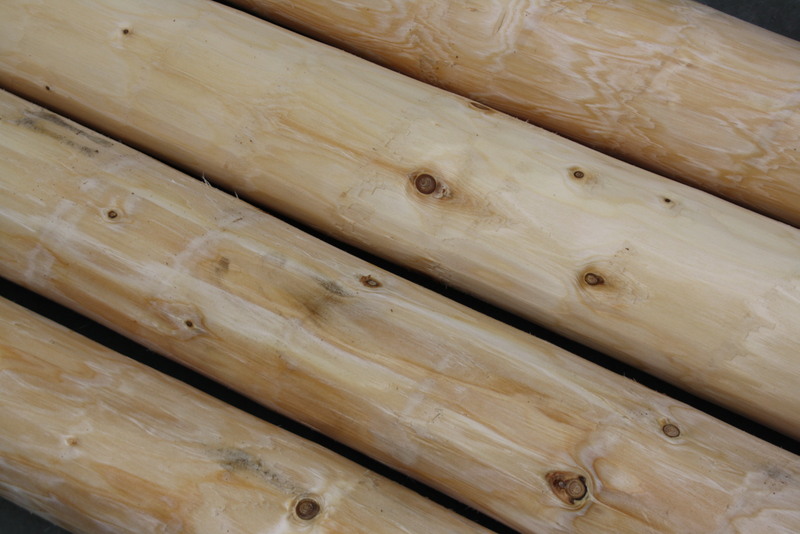 The powerful machines we offer can be manufactured according to your needs. We can include electronics with microprocessor controls for manually or automatically controlled cross-cut stops and sorting devices for length and diameter sorting. 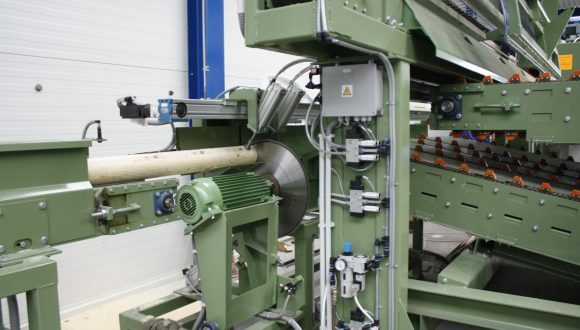 Also, the machine can be supplied as stand-alone or as an installation together with stock conveyor, selection systems, belt conveyors, debarking devices, and sorting boxes. 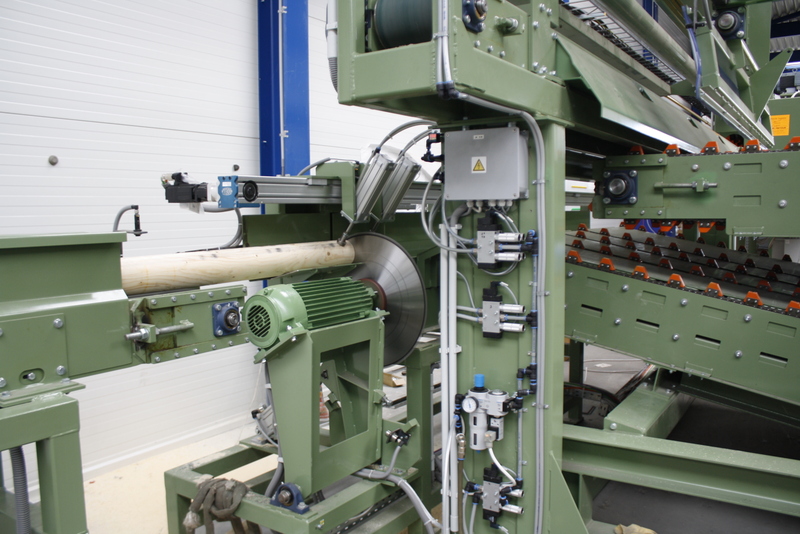 When the crosscut saw is part of an installation, this machine is also called an automatic saw. 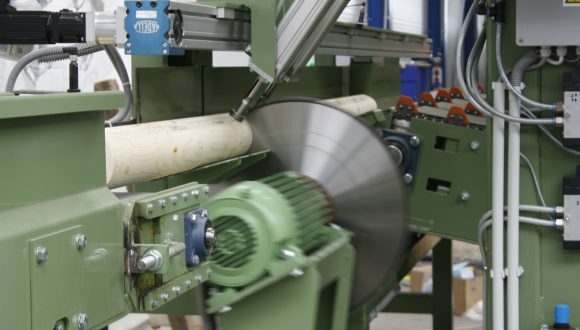 As a crosscut saw manufacturer, Bezner-Oswald has more than a century of experience in timber industry machinery. We gladly share examples of previously delivered installations with you. Please do not hesitate to contact us for more information.